The comprehensive range of steel conveyor rollers and idler assemblies covers all belt widths and design configurations. 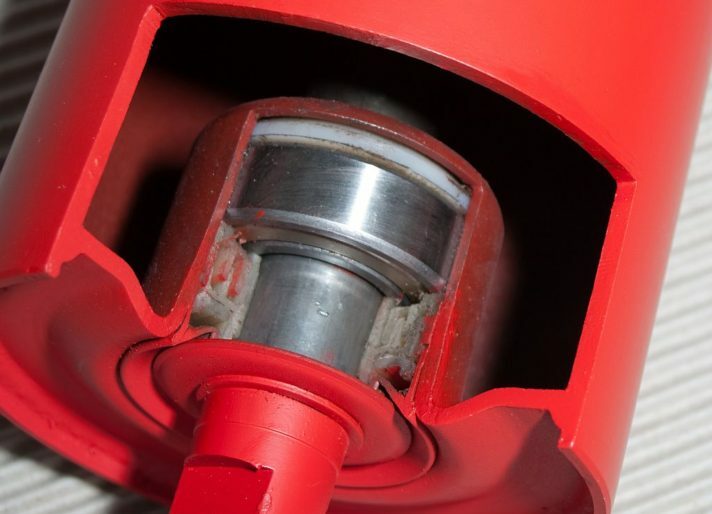 Given that the conveyor idlers are the critical factor in protecting the conveyor belt asset K-Steel Rollers/Idlers and conveyor hardware maintain the highest standards of design and manufacture. 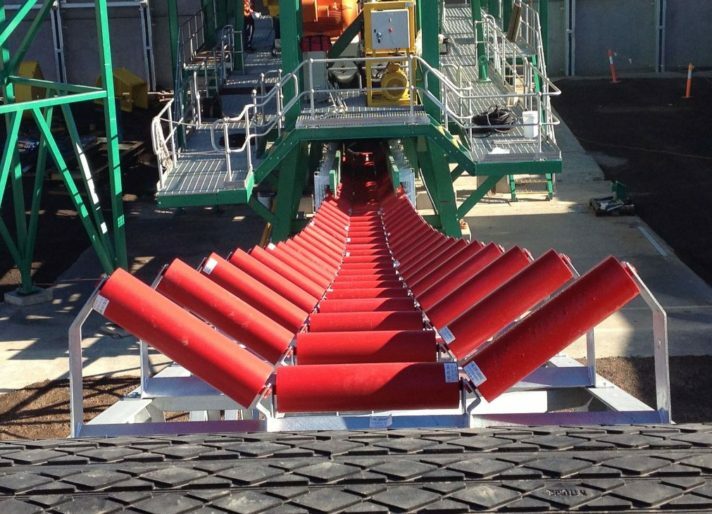 Reliability, less belt damage, low noise and energy efficient conveyor rollers are inherent in design. Total Indicator Run Out ≤ 0.3mm/M. The shell end disc is an important feature that is made from high grade quality structural steel 08A1. The weld between the shell and end disc is located internally within the shell face. 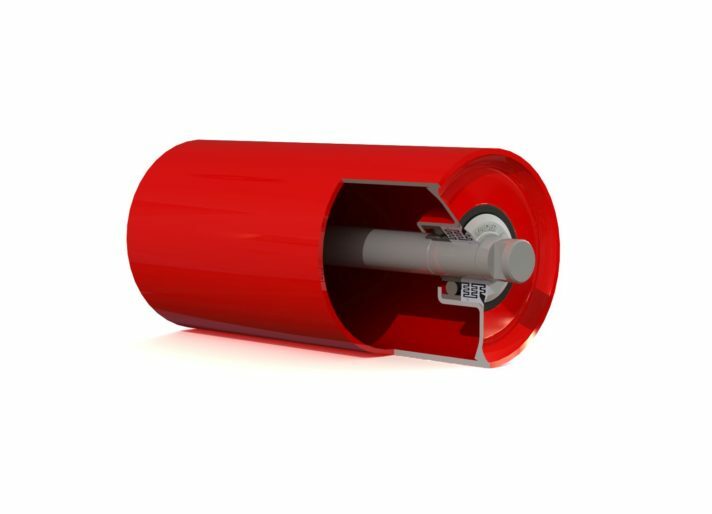 Standard roller shells (grade Q235) can be supplied as rubber lagged, or stainless steel. Roller types include rubber disc return and impact. With diameters up from 63.5mm to 219mm. Concentricity is ≤± 0.5mm. Higher grades are available. The effectiveness of the K-Steel Roller/Idlers multi-labyrinth nylon low drag sealing system provides an effective barrier to the environmental challenges of dust, dirt, water, low and high temperatures or applications where there is a large temperature gap between day and night. K-Steel Rollers/Idlers are fitted with high quality ZZ single row deep groove sealed bearings filled with lithium based grease. The bearing range is from 6204 > 6310. Shafting is K1045. All rollers are fully painted. Frames are shot peened and hot dipped galvanized. All components are plastic wrapped and part numbered. K-Steel Rollers/Idlers have a visible “Kinder” imprint for improved future traceability, as well as acting as a symbol of quality. Full Test certification is available on request.